The European Parliament is exploring ways to convert the younger generation’s online engagement into higher turnout in the upcoming elections, write Ramón Luis Valcárcel and Sylvie Guillaume. Ramón Luis Valcárcel and Sylvie Guillaume are Members of the European Parliament for the European People’s Party (EPP) and the Socialists and Democrats (S&D) groups. They are the Parliament’s vice-presidents in charge of information policy and citizens’ relations. In the hyper-mediated world of today, it is easy to view young people as disinterested, uncommitted and apathetic about politics. While those of us who graduated before the fall of the Berlin Wall used to spend time between piles of books, thanks to the digital revolution, today’s youth is just a click away from countless databases and are able to ‘like’ and (un)follow politicians and policy proposals through a myriad of digital platforms. It is the increasing importance of the virtual sphere that builds up the widespread feeling that today’s youth is apolitical. But, as Anna Widegren, secretary general of the European Youth Forum, recently explained, this is merely a myth. Among European youngsters, there is an eagerness to shape the future. The most interconnected generation ever goes on Erasmus, surfs the internet roaming-free in 28 countries and dislikes traditional politics. Yet, is not indifferent to the challenges the European Union is facing. Young people are worried about unemployment, migration, security, globalisation or climate change, just as we all are. The difference is in the way they engage and take action. Since digital participation is easier and faster, activities that fall beyond the reach of e-life are frequently left off their to-do lists. But at the same time, the problem is that debating, protesting or campaigning online is not enough. While clicktivism and other forms of civic engagement can help raise awareness of different topics among heterogeneous networks, real impact requires conversion into offline action. Youngsters’ route to democratic participation may well start on the phone, but to be effective, it has to lead to the polls. 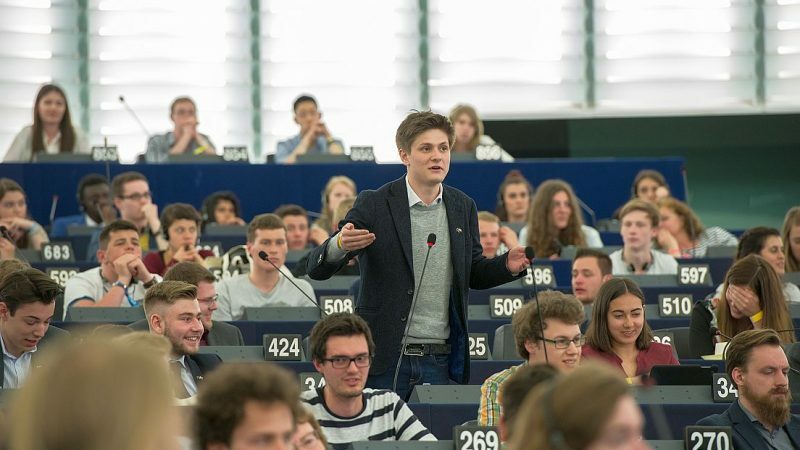 As democratically elected representatives of more than 500 million Europeans, we do not want young people to feel underrepresented or disenfranchised when it comes to EU politics. On the contrary: we believe that by communicating and interacting more with them we will be able to develop more adequate and credible answers to some of Europe’s biggest problems. This is why the European Parliament is working at full speed to bring the EU closer to its citizens and vice versa. By establishing a series of activities and initiatives from which to develop an open, structured and continuous dialogue with Europe’s youth, the Parliament seeks to enable an ever more vibrant democracy. One year out of the 2019 European elections, many debates and other participatory events will be held across all member states during the upcoming months in order to find out what Europeans think – and to legislate accordingly. We want to delve into the best ways of empowering young people, better convincing them that they should not feel left out of the European debate, closing the turnout gap between older and younger generation, etc. The central hub will be the European Youth Event (#EYE2018) to allow young people to campaign for things they believe in. After two successful editions, next June the European Parliament will open its doors once again to welcome more than 8,000 young people from EU member states like Estonia, Spain, Cyprus or France to neighbouring countries like Albania or Belarus. The two-day event will see a wide range of stimulating activities during which the roles will be reversed: youngsters will lead the conversation and Members of the European Parliament, Commissioners and other decision-makers will listen. We will talk about ways to eradicate youth unemployment, discuss proposals for harnessing globalisation and debate on pressing issues such as the very role of social media in our democracy or the integration of asylum seekers into our society. Oh! And, of course, we will speak about Brexit too. The most popular proposals formulated during the EYE will be included in a report and distributed to all MEPs, allowing for a truly meaningful political impact. To exemplify how young people’s ideas can be a source of inspiration to policy-makers, it is worth recalling that concrete demands from EYE 2016 participants led to real EU action. They requested more volunteering opportunities – and the EU created Solidarity Corps. As well, they asked for a stronger commitment to tackling climate change -and the EU was the first to stand up for the Paris Agreement when it came under attack. Together, yes we can turn words and good intentions into concrete actions, by finally delivering. However, taking part in the #EYE2018 is not the only way to make one’s voice heard before the May 2019 European Elections. As we believe that digital engagement is a first step to standardised democratic participation, the European Parliament has set up a website for the young generation to have its say on crucial issues such as inequalities, trade agreements, human rights or sexual harassment. And it goes without saying that social media is a two-way street, hence while the Parliament uses networks like Facebook or Snapchat to keep citizens up to date with European democracy, its communication services are there to make everybody’s engagement with parliamentary processes an easier and more enjoyable activity. We are trying our best to seize the endless opportunities that new technologies offer, but we need civic support to keep democracy alive. Youth has to take its online activism to the next level and participate offline, especially during elections. A higher mobilisation in May 2019 will mean more representativeness, and this will in turn provide for a better Europe -one that works for all indeed. The next European Commission president is not going to be chosen with a tweet but elected in the polls in May 2019. In its last plenary session, the European Parliament overwhelmingly voted in favour of the continuation of the Spitzenkandidaten process, for citizens are the ones who must shape the future of Europe. It is now time for youngsters to make the case for democracy, and this can only be done by converting online engagement into votes in the next election. There are many ways to call for change, but polls are the place to make it happen. EURACTIV is a Media Partner of the #EYE2018 youth event.